As the old saying goes, Love makes the world go around; Family makes it worth the ride…..and this trip would be a combination of both! 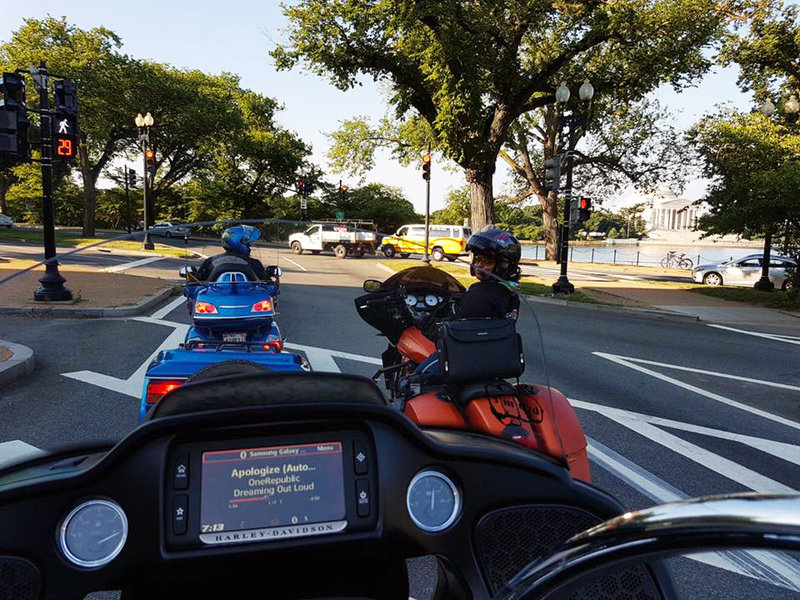 Our family, my husband, daughter and I, took to the road, not realizing that it would draw us closer than we were before we mounted up. The initial goal was to complete 48 states, then my husband asked, “Wouldn’t it be cool for Dirty Bird to get Alaska too?” I was thinking, here we go, “sure baby it would,” and this is where the journey began! 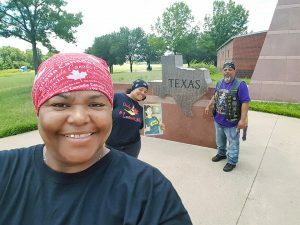 We left Killeen, Texas on June 26th with a return date of July 24th. We took a photo of my fallen sister Dani. 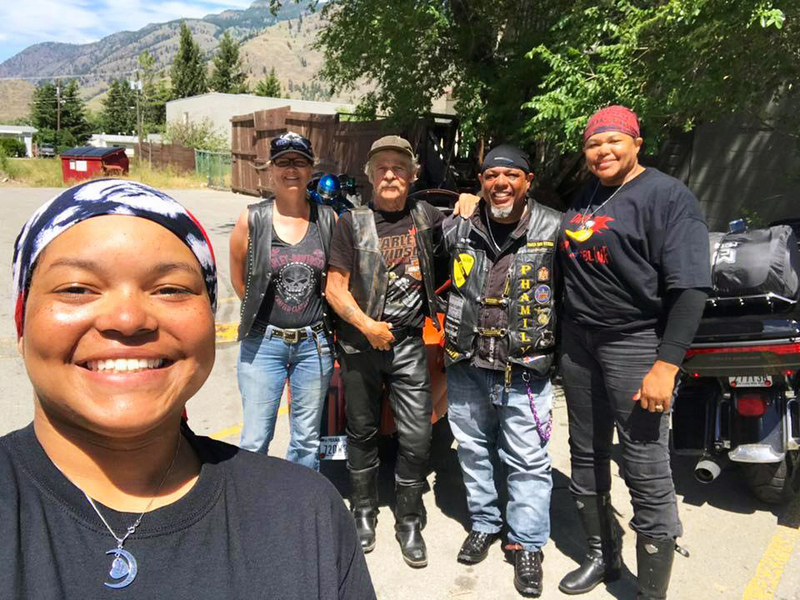 The picture was with us because Dani wanted to take a chance at riding to the lower 48 states and because she is no longer with us, we wanted to include her in our trip. At every state sign, we were able to stand next to, we included her photo to share the moment. We headed West of Texas, so that we would knock out what I thought was the hottest states first; little did I know that it was not the case. As we made our way through Texas and out of the Lone Star state, I started getting excited. My focus was to stay positive for Dirty Bird because the heat was on! As Dirty Bird would say, “the devil was touching the sun.” There were days where Dirty Bird and I wanted to fly our motorcycles to Canada [giggling] so that we could lay in the cool air all day. However, my husband Big Hump, motivated us to get up, eat breakfast and mount up every single day. He quickly learned that we were not morning people. We would give him dry responses, but he never stopped having a positive attitude. There were days when he would have to give us both a pep talk because we were just not into the ride. When we got to Nevada, we could not drink enough water; the more we drank, the more we sweat. 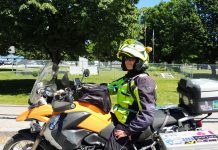 If you have ever ridden in hot temperatures, I am sure you’ve had the salt ring on your shirt, pants, and maybe even your boots. Well, we had it, and we wore them with pride because we started counting who had the most lines. We conquered the Nevada heat, which led us into more heat. No one could have told me that it would be that hot but, it was. While in Oregon, we rode Dead Man’s Pass and wow what a ride! We ended up stopping at a scenic spot, and all the curves gave us a rush. Big Hump yelled out, “Dirty Bird do not hold your breath girl, just breathe.” It quickly reminded me of her scare last year when the wind from an 18-wheeler caused her to wobble. She had ridden passed them all this way but, something about going up and down these mountains were different for her. She made it and was in awe to what she accomplished. She said, “Did you see me; did you video me….I did that!” All we could do was laugh because, at that point, we realized she had overcome her fear of riding near 18 wheelers. We truly did not get out of the heat until we made our way to Alaska. However, let me back up and talk about our Canadian border experience. Big Hump has a thing about traveling unprotected, and yes, we were protected, however, Canada does not play about weapons. He insisted on carrying them, only to be turned around at the border. He ended up finding a place to store them and back to the border we went. I told him we were crossing the border, with or without him. He looked at me and said, “No the hell yall not, we are going across this border together.” We ended up getting pulled over and had to go in and tell them where we had lived from the age of 18 years old. I looked at Big Hump and started laughing; the guy was like answer the question. So of course, we gave up our information because we were not going to miss out on Canada and Alaska. Once we reached Canada, I was so amazed at how clean it was, how beautiful the mountains were, and the miles and miles of land. Not saying we did not see this in the USA, but it seemed like the air was cleaner and it was something special about being in Canada. We stopped at a gas station and made our first encounter with a biker couple; one was on a trike and the other on a Fatboy. Dirty Bird wanted them to give us a tour of Canada and loved their accents. She went to the store and bought a couple of things and said, “I am not buying anything else out of a gas station, I just spent $40.” I laughed and said welcome to the road baby. We found a place to stay and laid down for the night. Dirty Bird was on a mission to find a Have Iron/Will Travel sticker at 150 Mile House gas station. As we got closer, she started singing; “I’m going to find it, I’m going to find it.” We were tracking our travels, and so was she at this point. As we pulled into the gas station, Big Hump and I went to the back of the store, and she pulled to the front. By the time we got to her, she had already taken the picture of the sticker and posted it in the Have Iron/Will Travel Facebook group. We looked at her and told her she cheated. She replied, she didn’t, she just played it smart. As we were riding, I saw the 100-speed limit sign, and I thought we were about to get it in. But, little did we know we were doing Kms, not Mph, so that meant 60mph. I thought we were never going to get to Alaska, but we finally made it through all the rain. Dirty Bird wanted to see a bear, and she insisted on getting close to one. I told her and Big Hump that they were on their own when a bear appeared. As we got on the Alaskan Highway, her wish came true. A brown bear stood straight up in the woods, and she almost lost her mind. We did a turnaround for her to get a better picture but, by the time we were clear to turn around the bear was crossing the street. So, we turned around and continued our travels. It continued to rain and rain and rain, and we quickly learned that our rain gear was our friend. We saw sights that all should desire to see at least once in their life. 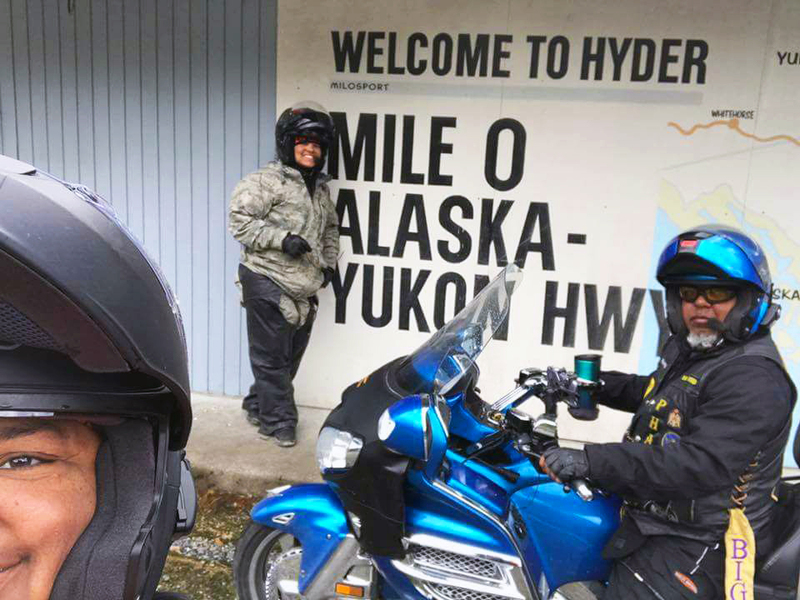 We crossed another border to get into Hyder, Alaska and the excitement hit us all over again. 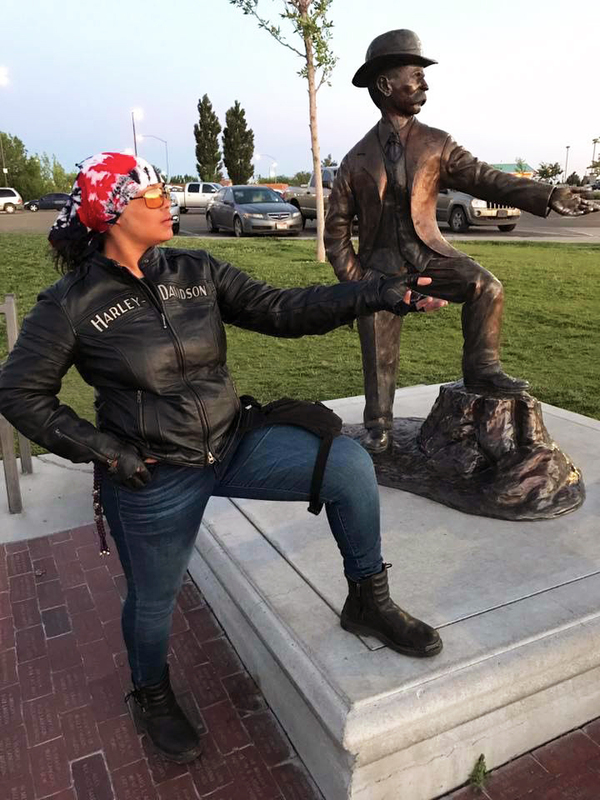 Dirty Bird had ridden her motorcycle into Alaska at the prime age of seventeen. Dirty Bird had just achieved a goal that she had been talking about for a short period but, but what matter is that she made it. While riding, we took pictures of the water, mountains, and anything that caught our attention to add to our memories. 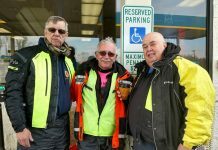 We rode out of Alaska, back into Canada, then into Washington, where we stopped to pick up Big Hump’s toys from storage. Again, it started raining. Did I mention we were either in heat or rain for most of our trip? Inspite of the weather, we still enjoyed the beauty of Mother Nature’s mountains, waterfalls, curves, and straight aways. We learned that we were going to ride the rain or the rain would ride us, so we rode the rain. Now let’s talk about Montana! I did not realize that Montana would feel as if I we were in Texas. So, we went through South Dakota, where we stopped and enjoyed the little town of Sturgis. Of course we were too early to enjoy the annual event there, so Dirty Bird picked up a t-shirt just to remind her of the city. We visited Mt. Rushmore, Devils Tower/Wyoming, the Needle, and Crazy Horse. They were all breathtaking, as they were done in stone and by man. Dirty Bird made a point that she had learned just as much on our trip, as you would have learned in a class. At that moment, we made a point to learn something new in each state we visited. 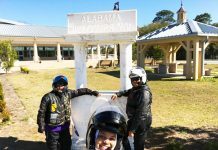 We wanted this trip to be more of a riding experience, yet one with substance, and filled with facts that she would remember. It never crossed my mind that we would all have a history lesson by the time we got home, but we did. If we did not see anything that would bring tourism to a state we talked about what brought in money to the state. 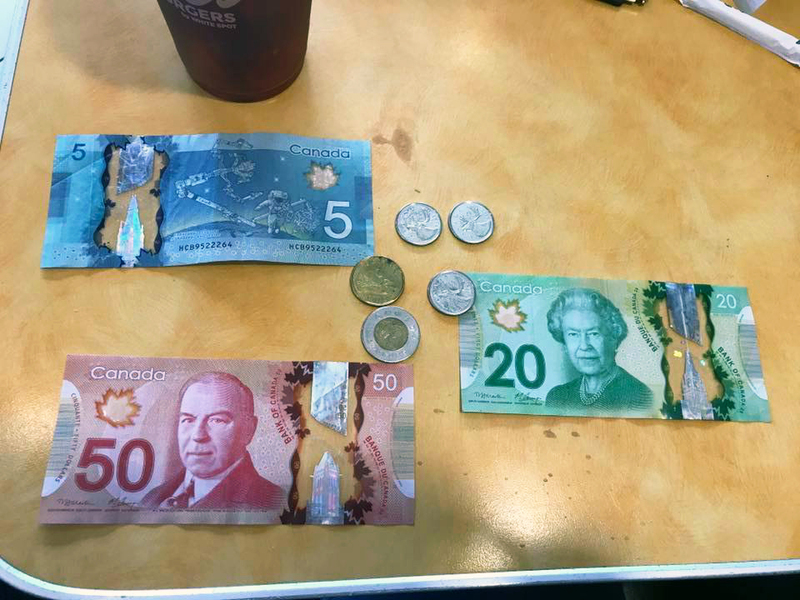 This gave her an idea of where she might want to live once she leaves the home front and help with teaching her the importance of money and a state’s economic situation. So, as you can see this trip became more than just us chasing state signs. We still enjoyed taking photos at each sign we encountered, however, it was more to the trip than just that. We continued riding and our next stop would be in Chicago to chill with a couple of my sisters and their families. We ate, laughed, showered, and called it a night. We got up the next day and started back on our journey. Now let’s talk about Ohio. Our trip was delayed in Ohio, due to an arm breaking on Big Hump’s trailer. We ended up getting some assistance from Champ, National VP of Next Level MC. We joked about getting help from a brother that knew a brother that knew another brother. It’s all about networking, and we appreciate him for coming out of the comforts of his home to make sure we were ok and safe in a hotel. The next day we rented a truck, drove to Jacksboro, Tennessee where Bushtech trailers are manufactured. The guys there were awesome they took care of us and had us back on the road the same day. I do not like Ohio weather; we rode in the rain the entire time we were in that state. We even pulled over for a couple of hours, got some sleep and tried again, only to pull over at midnight because the rain was coming down so hard and none of us could see. If one of us wasn’t comfortable for whatever reason, we adjusted, because it wasn’t about just one rider on this ride. That is something everyone needs to understand, when you get on the road with your family or friends the ride is not just about you. Big Hump was our leader and that he did well. He made sure that he kept us safe and sound every single mile of our trip. We helped him this one time to decide to pull over all others he decided on the safety factor even if we said we were good he called it. There was one day where he had gotten tired of my mouth and posted me as the lead; he went in on me. That was because he wanted me to see how he felt from the front and boy did I close my mouth and got back at the end. Sometimes you must put a person in your position and give them what they give you for you to understand. I understood very fast did I like it nope, but I got the picture of what he was painting fast. Lessons were always being learned on this trip. Next up, the state of Maryland. This is where we stopped and got some much-needed rest. We slept until our bodies woke us up. We also stopped to enjoy Sons of Solomon MC 10th Anniversary. We met people that we had previously met through Facebook and had the chance to sit down and fellowship with my sisters. I had sisters ride from Texas and meet up with us. It was great to see my sister pull up catch a sign with them and then Sunday we were all heading our directions. With all the rain, we encountered we ended up having to go North to get the northern states that we missed because we were trying to make the event. 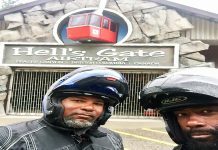 Along our travels we met up on the road with Big Bluu and some of his brothers, Big Bluu is the President of the Sons of Solomon New York Chapter. Dirty Bird was in hog heavy literally she got to ride by Big BLuu six. You would have thought she had been riding for years the way she handled Da Baby. He road us to the Connecticut then off he went. 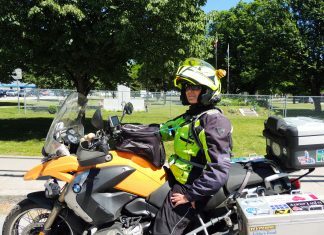 New York, I got to see another sister and her family, what a feeling to ride with your sister in her state. 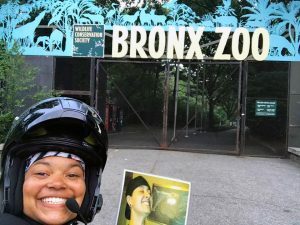 We stopped at the Bronx Zoo, rode past Central park and ate on the water. Dirty Bird thing was each of my sisters she would ride with that was not from Texas she would make a video or take a picture with them, and that she did. We got pictures of the statue of liberty, Madison square Garden, pictures with police on horses, and the 911 memorial. While getting back on the road Dirty Bird phone fell off her mount, and she began to cry I have lost all my pictures I cannot get those back. We pulled over Thank God; no car had run over it, so her pictures she still had. From that point on, she saved them to her cloud. Memories being lost was something that she talked about the rest of the ride. The tears stopped and we got back on the road heading to New Jersey. Delaware was the state that Dirty Bird wanted most, due to it starting with her nick name Del. 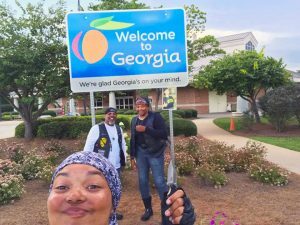 When we got there, she was over excited, but the state was so small, so we kept riding, and managed to ride to several other states in the same day. We realized that we would be able to run through the North Eastern states with no issues, as most of them were close to each other. 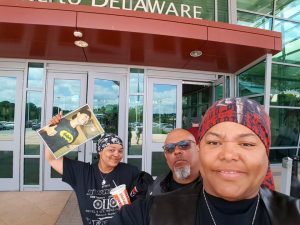 We made it to Virginia and decided to stop by and see another sister of mine at work that happens to work at a Harley-Davidson dealership. We hung around until she got off. Afterwards, while riding, Dirty Bird started videoing her riding with her, her headset started malfunctioning, and we could not hear her. She truly thought we were ignoring her because she could hear us but, we could not hear her. The video that was made was priceless you must see it to understand. Moving right along, Atlanta, Georgia was our next stop. 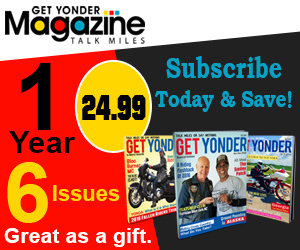 It was there where we met up with Get Yonder Magazine Founder/Editor in Chief, Stephanie Hampton. As always, she is a breath of fresh air, and her smile is contagious. She made sure that we had a place to park because the parking lot was crowded when we arrived. We came straight off the road and enjoyed the Wednesday Night Bike Night, which her husband is the DJ. There I met up with two more of my sisters, and it only added to the smiles and laughter. This is where Big Hump went Get Yonder crazy. He purchased one of each t-shirt, of course, Dirty Bird and I got our shirt as well. We laughed, met folks from Atlanta and around midnight, we left to go to our hotel for the night. We thought we had a stalker, we looked up, and it was Stephanie making sure our hotel reservations were ok, and that there were no issues checking in. Did I say it was after midnight? Yes, that’s the kind of person she is, and we love her for that! The next day was awesome; as we were checking out and packing, Big Hump spotted a horse. Yes, there was a horse in the parking lot of our hotel. Knowing that Dirty Bird love animals, he talked the guy into letting her ride. 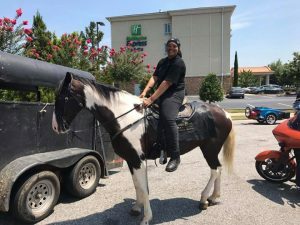 Can you picture Dirty Bird riding a horse in an Atlanta hotel parking lot? I just knew the hotel staff would ask us to leave, but they did not. She had a blast and made a lifelong friend with the owner. We went and ate before heading back on the road. We rode through the next couple of states with no problem. We arrived in Florida and stayed a couple of days at my brother-in-law Cesar’s home. As always, we ate good, laughed, enjoyed the baby, pets, and his family. We rolled on and stopped in Memphis, Tennessee, where we met up with two more of my sisters. We went to Beale Street where we saw the Elvis status, took photos, and then went to the Lorraine Hotel, where Martin Luther King Jr was killed. 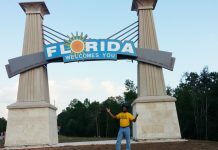 As we approached our 48th state, I was super excited thinking we were done. However, we still needed to get the Texas Sign. 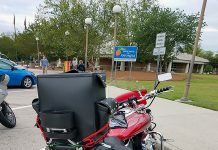 We took pictures of the Oklahoma sign, but it was at the Texas sign, that I could rejoice knowing we had just completed riding to 49 states in one trip.It didn’t stop there, as we needed to make it home to Killeen, Texas. The devil was touching the sun once again but, we were almost home. We pulled into the garage, said our return prayer, then high-fived each other. One lesson learned while on our trip was that you could never condition enough for the road. 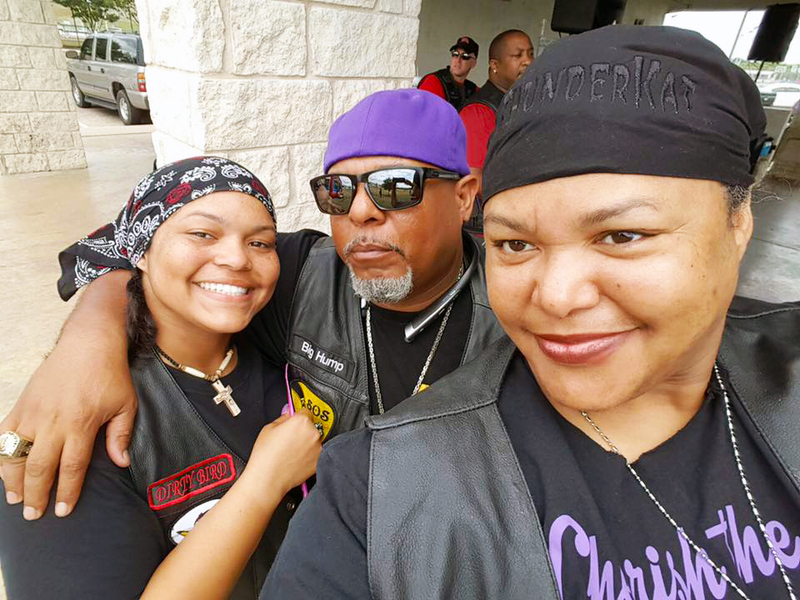 What happens on the road will make you a better rider, and riding with my family just made our bond even stronger. It was great to learn that family can pound together and have fun at it, even though, not every day was fun, but we got through our issues. 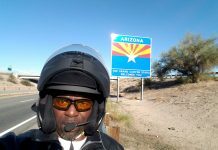 We took one more trip in family mode to meet Highway Smiley, of Kings of Cali MC, to receive his Gold Star Patch, that we earned. The smile on his face and laughter from his voice made the trip all worth the ride. His patch is not just a patch, it is something that he cherishes giving, and we loved receiving it. 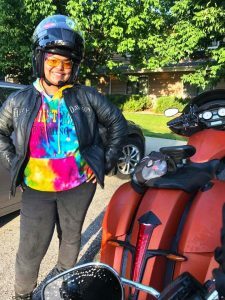 Dirty Bird is our child, and we will continue to support her desire to ride her motorcycle around the world. We have already started planning for next year. Dirty Bird is just getting started. You can follow her on her Facebook blog LONGBLINK or her website at www.dirtybirdtravels.com.